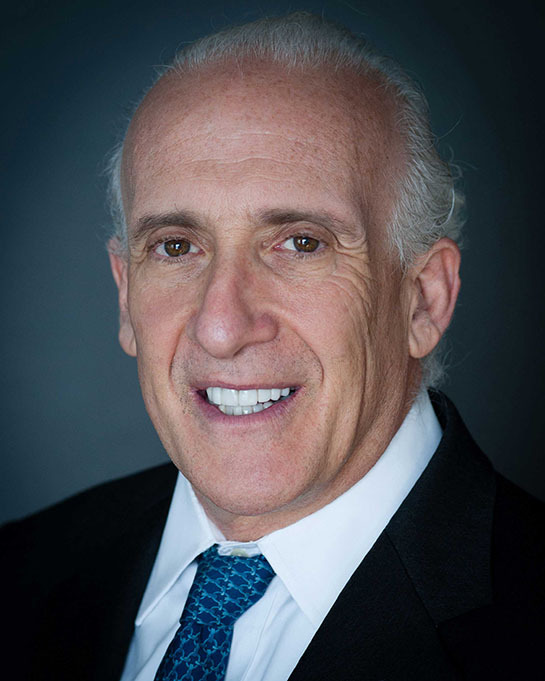 Lawrence G. Nusbaum is a name partner of Gusrae Kaplan and the Department Head of the Firm’s Corporate/Securities practice. Larry is one of the leading corporate/securities and transactional attorneys in the United States with more than 25 years of experience representing public and private, domestic and international entities, broker-dealers, investment banks, hedge funds, private equity firms, high networth individuals, registered representatives, financial advisors, officers and directors, board of directors and special committees in a wide range of corporate and securities matters. Larry works closely with clients to structure strategic transactions in a practical and cost effective manner. Larry has expertise in a wide variety of securities transactions, general corporate matters, venture capital and private equity investments and restructuring of prior investments, secured and unsecured, senior, mezzanine and “junk” grade debt offerings, mergers and acquisitions and financing transactions. Larry has represented clients in a multitude of transactions over the years including public offerings, going private transactions, PIPEs, restructurings and reverse mergers. Larry also has a wealth of experience guiding clients through SEC reporting, corporate governance and regulatory issues. Larry also works closely with his clients and litigation partners in various “white collar” matters involving investigations, enforcement actions and complex corporate/securities matters involving, among others, FINRA, the SEC, the NYSE, the United States Attorney’s Office and the Justice Department. In addition to his robust and dynamic domestic practice, Larry regularly represents clients in complex international and cross-border transactions, including in Russia and various of its former Soviet Republics, China, Canada, Australia, Hong Kong, Sri Lanka, Germany, Greece, France, India and throughout the United Kingdom and Europe. Prior to joining the Firm, Larry practiced with Cahill, Gordon & Reindel, where he worked on numerous high-profile engagements representing the leading investment banks in the country, in junk bond fueled hostile and non-hostile takeovers, public offerings and proxy contests. Fluent in French, Larry received his BA from Syracuse University and his law degree from the Washington University School of Law, where he served as a Notes and Comments Editor of the Law Journal. Larry has had several articles on corporate and securities matters published in various law reviews including “A Director’s Duty to Disclose Preliminary Merger and Acquisition Negotiations” in the Washington & Lee Law Review and “Poison Pills – A Corporate Cure or a Corporate Panacea” in Suffolk University Law Review. Larry is admitted to practice in New York and before the United States District Court for the Southern District of New York. Representation of two (2) offshore and onshore funds in connection with the purchase of approximately $20,000,000 aggregate principal amount of previously issued senior subordinate debt and subordinate debt of a domestic communications company from two (2) private equity funds. Representation of placement agent in connection with private placement of convertible debt, shares of common stock and warrants from a publicly traded global provider in Digital Security, Data, Analytics, Visualization and Surveliance Solutions. Representation of private equity fund in connection with purchase of convertible debt, common stock and warrants from a publicly traded global provider in Digital Security, Data, Analytics, Visualization and Surveliance Solutions. Representation of placement agent in connection with $12 million private placement of preferred stock and warrants of public bio-technology company in the autologous cellular therapeutic industry. Representation of placement agent in connection with $3,000,000 plus private placement of securities of a public bio-technology company for therapeutic products for the treatment of cardiac and renal dysfunction. Representation of 2 investment funds in connection with $2,000,000 purchase of preferred stock and warrants of U.S. publicly traded holding company of Canadian technology company. Representation of Fund in sale of $20,000,000 of LLC Interests to purchase social networking and technology company securities. Representation of holding company of a registered broker/dealer in connection with $12 million Series C preferred private placement. Representation of placement agent in connection with $8 million private placement of publicly traded social network company. Representation of U.S. Fund of Funds with leveraged assets of $750,000,000 in connection with unwinding and asset distribution as well as advising Fund Manager as to possible legal issues related to clawbacks. Representation of private bio-technology company in rights offering to existing shareholders and private placement to certain outside investors. Representation of underwriters in up to $30,000,000 registered direct offering of public biotechnology company. Representation of high level former U.S. appointed senior governmental energy official and private equity fund manager in negotiating complex compensation and indemnification package to join Board of Directors of portfolio company of $3 billion private equity fund. Representation of Fund Manager in connection with acquisition of outstanding LP interests in private equity fund through exchange of LP Interests for securities of private bio-technology company. Representation of U.S. Fund in connection with complex purchase of securities of foreign issuer in the natural resource and mining business whose stock is listed on the Frankfurt Stock Exchange. Representation of U.S. Fund in connection with negotiation to purchase in excess of $5 million of Twitter, Inc. common stock from 2 sellers. Representation of portfolio telephony company of large U.S. based buy-out fund in connection with reverse merger of portfolio company into U.S. based public holding company and $8 million plus private placement as well as conversions and exchanges of multiple classes of senior and senior subordinated debt and preferred stock. Representation of fund manager managing various funds with a combined NAV in excess of approximately $150,000,000 in connection with registering the fund manager as an investment advisor under the Investment Advisor Act of 1940 as amended. Representation of private stem cell company in connection with reorganization and private placement of its Series A preferred stock. Representation of underwriter in up to $2,000,000 registered direct offering of multi-media company. Representation of placement agent in connection with $25 million sale of convertible preferred stock of a private consolidation and acquisition company, the net proceeds of which were used to acquire 3 privately held companies in the homeland securities technology industry. Representation of well-known cosmetic company in joint venture, reverse merger and financing into a U.S. publicly traded holding company. Representation of private medical technology company in sale of convertible notes to insiders in bridge offering. Representation of stem cell storage and harvest company in complex reorganization, reverse merger and $3,000,000 private placement. Representation of 3rd party marketer for hedge funds and private equity funds in connection with numerous capital raising transactions for a variety of different hedge and private equity funds raising in excess of $200 million for such funds. Representation of placement agent in connection with $6.5 million private placement and selling shareholder registration statement of publicly reporting company that provides specialized pharmacy services to treat HIV/AIDS disease and selling shareholder registration statement. Representation of Israeli environmental remedial company in $3.5 million plus private placement of LLC units and warrants. Representation of former high-level U.S. appointed senior government official and fund manager in negotiating complex compensation and indemnification package to join advisory board of solar energy company. Representation of public logistics company with revenues in excess of $150,000,000 in reorganization including issuance of 3 series of complex preferred stock. Representation of shareholder group of $300 million oil/gas company in such shareholders efforts to monetize their investments. Representation of holding company of a registered broker/dealer in connection with a $10.5 million bridge offering. Representation of underwriter in $10 million plus initial public offering of sports manufacturer. Representation of Israeli based environmental company in connection with restructuring including cross-border reincorporation into a U.S. holding company. Representation of placement agent in connection with $2,000,000 plus private placement of securities of U.S. publicly traded holding company of Croatian fisheries and shipping fleets. Representation of investor group in connection with its acquisition of block of common stock, reorganization and appointment of investor nominees to board of directors of private medical technology company. Representation of institutional investors and private funds in connection with workout of defaulted debt of public Canadian company in oil/gas business with assets in the United States and Canada. Representation of U.S. based holding company of HK/Chinese logistics company with revenues in excess of $100,000,000 in acquisition of privately held offshore logistics company with operations in India, Sri Lanka and Bangladesh. Representation of a controlling shareholder of private dye manufacturers in connection with buy-out of another shareholders shares and $3,000,000 bank loan to fund such acquisition and provide working capital. Representation of majority shareholder of a private environmental company in connection with restructuring of company including with mezzanine and senior lender. Representation of U.S. Fund in connection with purchase of securities entity in health products business whose stock is listed on the Frankfurt Stock Exchange. Representation of U.S. holding company of Chinese furniture manufacturer with revenues in excess of $100,000,000 in connection with $20 million plus senior loan from international chartered bank. Representation of investor in buy-out of private environmental remedial company from prior shareholders; negotiated shareholder’s agreement, employment agreement, senior subordinate financing and other items related thereto. Representation of privately held biotech company in connection with $10 million private placement of company stock. Representation of private online advertising company in $7 million private placement of preferred stock and warrants. Representation of public stem cell company in negotiation of supply and storage contract. Representation of U.S. fund in connection with purchase of securities of foreign issuer in the health products business whose stock is listed on Frankfurt Stock Exchange. Representation of private equity fund in connection with negotiation and purchase of 50,000 shares of restricted Facebook stock in secondary markets. Representation of placement agent in connection with $7 million private placement of convertible notes and warrants of publicly traded technology company. Representation of institutional investors funds in connection with $3.5 million senior subordinate debt and warrant purchase of public company in computer networking business. Representation of private equity fund in connection with $20 million private placement to purchase Facebook stock. Representation of private nano-technology, bio-tech company in connection with reorganization and $7 million private placement. Representation of auto finance company in connection with reverse merger into U.S. publicly held shell company and $2.5 million simultaneous capital raise. Representation of private equity investor in connection with cross border $2 million private placement of debt and equity of oil and gas exploration company. Representation of private telephony company in Fibre-Optic business in connection with its private placement to private equity fund of notes and warrants and restructuring. Representation of placement agent in $10 million capital raise for a holding company, the net proceeds of which were used to purchase securities in a private reinsurance company. Representation of placement agent in connection with $5 million private placement of securities of publicly traded verification technology company. Representation of placement agent in $3.5 million private placement of private wine cork technology company. Representation of privately held online advertising company in $7.5 million private placement of preferred stock and warrants. Representation of placement agent in follow-on private placement of Florida real estate development company in connection with $4.7 million private placement. Representation of placement agent in connection with $5,000,000 private placement of private bacteria detecting company. Representation of placement agent in connection with $8,000,000 private placement and restructuring of publicly traded bone and tissue regeneration company. Representation of placement agent in connection with cross border $10 million private placement of public natural resources company stock. Representation of placement agent in connection with cross border $2 million plus private placement of public natural resources company stock. Representation of roofing company with revenues in excess of $200,000,000 in $20 million plus initial public offering of NASDAQ listing. Representation of private equity fund in connection with $10 million private placement of fund interests to invest in securities of natural resource companies. Representation of U.S. based public holding company of HK/PRC logistics company with members in excess of $150 million in sale of $5 million of its preferred stock. Representation of registered broker/dealer in a reverse merger of broker/dealer into a publicly traded SPAC with $7 million of funds. Representation of Fund in sale of up to $20,000,000 of Fund interests to purchase social networking and technology stocks. Representation of placement agent in connection with $7 million plus private placement of securities of publicly traded pharmaceutical company. Representation of placement agent in $5 million plus private placement of publicly traded pharmaceutical company. Representation of private skin care company in reverse merger into U.S. public holding company and simultaneous private placement of $2 million. Representation of Greek shipping company in reverse acquisition by SPAC with $30,000,000 of funds. Representation of U.S publicly traded Hong Kong based logistic Company with offices through the far east and the United States in $5 million plus senior secured bank loan. Representation of fund and investors in connection with $2 million private placement of senior debt and equity of Canadian public oil/gas company. Representation of underwriter in connection with over $20 million public offering of U.S. holding company of China based entity. Representation of telephony company in $2 million financing from venture capital group and shareholders agreement. Representation of internet/telephone company in $8 million initial public offering. Representation of placement agent in connection with $8,000,000 private placement of preferred stock and warrants of publicly traded software company. Representation of private equity fund in connection with $27 million private placement the proceeds of which were used to buy private social networking companies. Representation of BVI holding company of Chinese/HK environmental company in connection with NASDAQ listing and $5,000,000 initial public offering. Representation of private equity fund in connection with $20 million private placement of LLC Interests to purchase privately held social media and technology stocks. Representation of U.S. based public holding company of HK/Chinese logistics company with revenues in excess of $100 million in $5 million plus debt sale to fund. Representation of pharmaceutical company in work-out with U.S. federal chartered bank regarding in excess of $100 million asset based loans. Representation of issuer in connection with reverse merger and $10 million plus financing of Panamanian resort and leisure company into U.S. publicly traded holding company. Representation of private equity fund in connection with $10 million private placement of membership interest to purchase social media stocks. Represent U.S. holding company of Chinese furniture manufacturer in $20 million public offering and NASDAQ listing. Representation of placement agent in connection with over $5 million cross border private placement of public natural resources company stock. Representation of client in connection with Rule 144 stock sale valued at $250,000. Representation of placement agent in connection with $6.5 million private placement of natural resources company stock. Representation of institutional investor in connection with $1 million plus private placement of public technology company. Representation of issuer of public company in connection with $200,000 private placement of natural resources company stock. Representation of public logistics company with annual revenues in excess of $200,000,000 in connection with merger with a private logistics company with revenues in excess of $65 million. Representation of institutional lender in connection with work out of prior $2 million senior secured loan. Representation of U.S. holding company in acquisition of Hong Kong and China based logistics companies and filing of Registration Statement on Form 10 and OTC BB listing. Representation of U.S. holding company of Chinese based public company in $10 million private equity investment by RMB fund. Representation of private equity fund in connection with purchase of approximately $1.5 million of Facebook shares in secondary market. Representation of private equity fund in connection with purchase of public technology company’s common stock to, among other items, purchase intellectual property. Representation of placement agents in $20 million private placement of U.S. public holding company in Chinese pharmaceutical company. Representation of California based environmental clean-up company in connection with reverse merger into U.S. publicly traded company and simultaneous $3 million plus private placement. Representation of placement agent in connection with private placement of $10 million of common stock of U.S. based public holding company of U.K alternative energy company. Representation of private equity fund in connection with $20 million private placement the proceeds of which were used to purchase shares of social media and technology companies. Representation of U.S. publicly traded logistics company in acquisition of Australian and Hong Kong based logistic companies. Representation of American branch of foreign national bank in sale of Kauffman Studio properties for $3 million plus. Representation of Fund in establishing 10 SEC reporting shells. Representation of placement agent in connection with cross border $30 million private placement of public Canadian natural resources company stock. Representation of private equity fund in connection with $7 million private placement of its interests to buy social media technology equity. Representation of placement agent in connection with cross border $5 million plus private placement of Canadian public natural resources company stock. Representation of placement agent in connection with $1.2 million private placement of public healthcare company stock. Representation of placement agent in connection with cross border $2 million private placement of public mineral exploration company stock. Representation of U.S entity in connection with cross border acquisition of gold properties and reverse merger into U.S. publicly traded entity and $12 million plus financing. Representation of private bio-tech in connection with $3 million private placement of its securities. Representation of placement agent in connection with private placement of public healthcare company stock. Representation of holding company of broker/dealer in connection with $1 million private placement of holding company stock. Representation of registered Investment Advisor in connection with formation of 3 PIPE/private Equity funds and capital raises for different classes of investors. Representation of U.S. public holding company of Panamanian Hotel/Leisure company in $1.7 million common stock sale by placement agent. Representation of placement agent in $3.5 million private placement of notes and warrants of U.S. publicly traded pharmaceutical company. Representation of Brazilian licensing company in reverse merger into U.S. publicly traded shell company and simultaneous financing. Representation of U.S. publicly traded holding company of Panama Hotel Leisure company in private placement of $209,000 of notes and warrants. Representation of private drug company in connection with reverse merger into public shell and $7.5 million simultaneous private placement. Representation of placement agent in connection with $8 million purchase for investor group of shares of U.S/. based publicly traded holding company for Chinese manufacturing company. Representation of placement agent in connection with $3 million private placement of U.S. publicly traded holding company of Chinese manufacturer. Representation of placement agent in $10 million private placement of debt and warrants of U.S. publicly traded holding company of U.K alternate energy company. Representation of public biotech issuer in connection with $1 million private placement of its company stock. Representation of placement agent in connection with cross border $2.6 million private placement of public natural resources company stock. Representation of public stem cell issuer in connection with $5 million private placement of its securities. Representation of placement agent in $40 million private placement of securities of publicly traded technology company. Representation of public biotech issuer in connection with $2 million plus sale of its securities. Representation of placement agent in connection with $50 million private placement of issuer in business of making small business loans. Representation of placement agents in connection with reverse merger of Chinese pharmaceutical company into U.S. holding company. Representation of placement agent in connection with over $3 million private placement of private technology company. Representation of U.S. publicly traded holding company of Chinese based footwear company in connection with $2.5 million private placement of its common stock. Representation of placement agent in connection with cross border $3 million private placement of public natural resources company stock. Representation of placement agent in connection with $1 million private placement of public bio-tech company and exchange of certain outstanding securities owned by prior investors. Representation of private bio-tech company in connection with $5 million private placement of its common stock. Representation of fund in establishing five (5) Form 10 shells. Representation of placement agent in connection with $8 million cross border debt issuance of public natural resource company. Representation of U.S. holding company of Chinese medical company in $3.5 million investment by U.S. Investors. Representation of placement agent in connection with cross border $5 million private placement of public natural resources company stock. Representation of U.S. publicly traded logistics company in acquisition of California based logistics company. Representation of placement agent in connection with cross border $2 million private placement of natural resources company stock. Representation of public bio-tech company in relisting common stock on OTC BB from Pink Sheets. Representation of private technology company in connection with $3 million private placement. Representation of U.S. public holding company of Hong Kong based logistics company in acquisition of outstanding membership interests of U.S. entity. Representation of placement agent in connection with cross border $1 million private placement of public natural resources company stock. Representation of placement agent in connection with $2 million plus private placement of public healthcare company stock. Representation of founders in connection with $150,000 private placement of natural resources company stock to fund initial organizational costs. Representation of public mineral exploration company in connection with $10 million private placement. Representation of placement agent in connection with $2.5 million private placement of public company stock. Representation of U.S based publicly traded logistics company in acquisition of Chicago based private limited liability logistics company. Representation of public financial services in connection with $2 million plus private placement of its securities. Representation of placement agent in connection with over $5 million private placement of securities of private finance company. Representation of private Australian electronics company in connection with a reverse merger into a publicly traded shell and simultaneous financing. Representation of U.S. publicly traded holding company of Greek construction company in connection with a $5 million private placement. Representation of placement agent in connection with over $2 million private placement of private entertainment company. Representation of Chinese based furniture and related products company in connection with reverse merger into a United States publicly traded company. Representation of public company in financial services industry in connection with $3 million plus private placement of its securities. Representation of U.S. holding company of Chinese environmental company in private placement of $3.6 million of stock. Representation of private equity fund in connection with $5 million private placement, the net proceeds of which were used to purchase Linked-In stock. Representation of public company in connection with acquisition of mineral rights valued at over $300,000. Representation of private equity fund in connection with private placement of $10 million of securities to purchase Facebook stock. Representation of U.S. public holding company of Chinese environmental company in reverse split and name change. Representation of public restaurant chain in connection with $1 million plus private placement of equity securities. Representation of private equity fund in connection with over $5 million private placement of shares and warrants. Representation of financial services company in connection with acquisition of a Broker/Dealer valued at $900,000. Representation of placement agent in connection with $7.5 million private placement of common stock and warrants. Representation of placement agent in connection with $600,000 private placement of notes of Florida real estate company. Representation of placement agent in connection with $6 million private placement of membership interests to refinancing private real estate acquisition. Representation of U.S. holding company of Panama Hotel/Leisure company in connection with over $2 million plus private placement of notes. Representation of U.S. holding company of Panama Hotel/Leisure company in connection with $1 million private placement of preferred stock of venture fund. Representation of placement agent in connection with approximately $5 million private placement of units of holding company of U.K broker/dealer. Representation of publicly traded environmental company in connection with $1 million senior loan. Representation of placement agent in connection with $1.9 million plus private placement of notes/equity of technology company. Representation of placement agent in connection with $800,000 private placement of notes of spin off of telephony company. Representation of placement agent in connection with $1 million private placement of common stock of entertainment company. Representation of placement agent in connection with $925,000 private placement of units of privately held technology company. Representation of publicly traded holding company of Panamanian Hotel/Leisure Company in connection with over approximately $5 million private placement of preferred stock and warrants. Representation of placement agent in connection with $4 million private placement of units of publicly traded telecommunications company. Representation of placement agent in connection with $2.4 million private placement of privately held technology company’s common stock. Representation of placement agent in connection with $3 million private placement of securities of public medical device company. Representation of public auto finance company in $5 million private placement of preferred stock and warrants. Representation of placement agent in connection with $5 million private placement of preferred stock of warrants of publicly traded bio-technology company. Representation of private interest finance company in connection with $12 million initial public offering of its securities. Representation of underwriter in $7 million initial public offering of Chinese construction company. Representation of auto dealerships with revenues in excess of $100 million into a publicly traded shell. Representation of auto finance company in connection with exchange offer of new securities in exchange for old securities. Representation of placement agent in connection with private placement of notes of warrants for publicly traded oil/gas exploration company. Representation of publicly traded company in the trucking industry in connection with $5 million equity line. Representation of fund in connection with acquisition of control block of publicly traded shell company. Representation of placement agent in connection with $2 million follow-on private placement of private medical device company. Representation of public auto finance/dealership in connection with $3 million private placement of preferred stock and warrants. Representation of private defense technology company in reorganization and $2 million capital raise. Representation of placement agent in connection with private placement of $3 million of securities of a private medical company. Representation of private multimedia company in connection with acquisition of Florida based multimedia company. Representation of U.S. publicly traded holding company of HK/PRC logistics company in $2.0 million plus private placement, NYSE/AMEX listing and selling shareholder registration statement. Representation of U.S. public holding company of HK/PRC logistics company in $6 million convertible debt and warrant capital raise from equity fund in selling shareholder registration statement. Representation of U.S public holding company of HK/PRC logistics company in $5 million convertible note sale to debt fund and selling shareholder registration statement. Representation of placement agent in $5 million capital raise for a holding company, the net proceeds of which were used to purchase Dunkin’ Donuts franchise. Representation of placement agent in connection with $4.5 million of LLC Units to purchase and develop Florida real estate. Representation of placement agent in connection with private placement of $1,000,000 of securities of private web-based de-bugging software. Representation of placement agent in connection with $15 million private placement for entertainment fund. Representation of placement agent in $3 million private placement of securities of publicly traded restaurant chain. Representation of placement agent in $5 million private placement of securities of publicly traded software technology company that produced software for the commercial vehicle industry. Representation of placement agent in connection with $2.6 million bridge loan and follow-on offering for security solution acquisition. Representation of Broker/Dealer in sale of assets to a purchasing broker/dealer. Representation of Broker/Dealer in $4 million acquisition of preferred stock of online broker/dealer. Representation of privately held entertainment promotion company with a stable of musicians in connection with $10 million private placement. Representation of equity fund in connection with $1,000,000 purchase of securities in public logistics company. Representation of placement agent in connection with $10 million private placement of securities of public healthcare company. Representation of publicly held entertainment company in connection with selling shareholder registration statement. Representation of vitamin company in connection with reverse merger into public company, $3 million private placement and acquisition of another vitamin company. Representation of placement agent in connection with $4.5 private placement of notes and preferred stock for a publicly traded “Fixed Based” aircraft operations company. Representation of fund in connection with the purchase of notes/preferred stock/warrants of a publicly traded technology company.